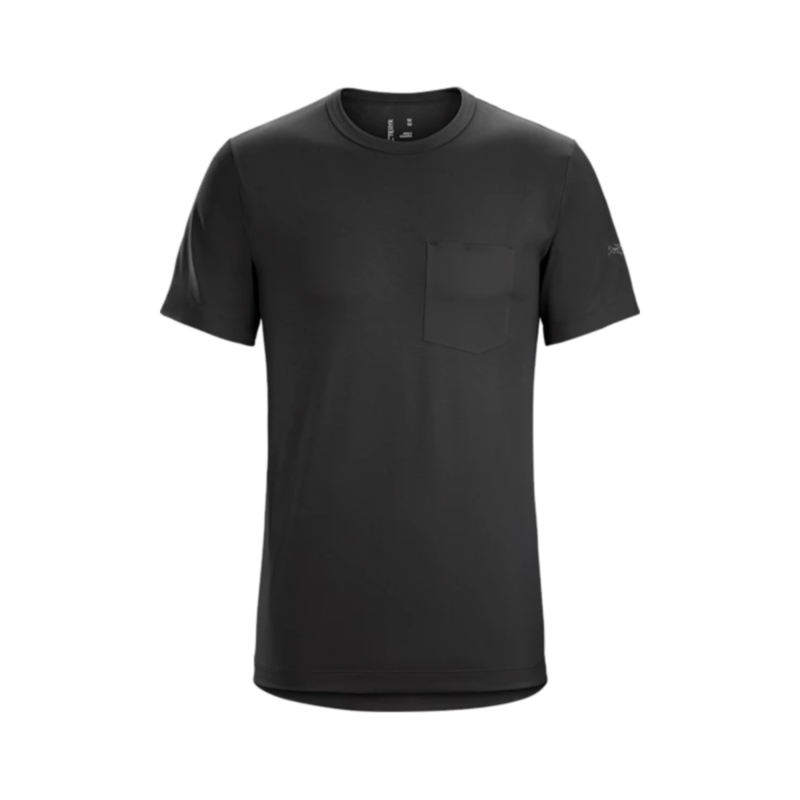 The Arc'teryx Anzo T-Shirt Men's is a casual performance t-shirt made from DryTech™ material. Casual performance doesn't mean you have to look cool doing whatever you're doing, although that does help, but performance with a casual style. DryTech™ is made from cotton, polyester, and elastane to give you a balance of comfort and breathability, quick-drying and moisture-wicking, and stretch and mobility. It also features gusseted underarms for even better range of motion and a laminated chest pocket. The Anzo keeps you cool, dry, and comfortable when you're active whilst not being out of place in the city. A comfortable T-shirt which works nicely as a casual wear but also while training. A bit on the pricey side but when on sale a good bargain.